Our Academy program's main emphasis is on skill development: the personal technical soccer skills the younger player needs to advance in soccer. Our Arsenal program is our most competitive level of participation. For players and families, Arsenal is a lot of fun and also a significant time and financial commitment. 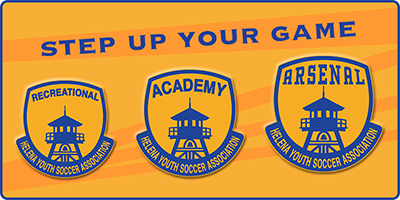 Arsenal teams have a history of success on and off the playing field competing in the MYSA (Montana Youth Soccer Association) League and participating in competitive tournaments around the western United States.